Elevated between 5348 ft and 7589 ft, the Ski Resort is among the 5 highest elevated Ski Resorts in Salzburg. The vertical drop from summit to base is 2241 ft. 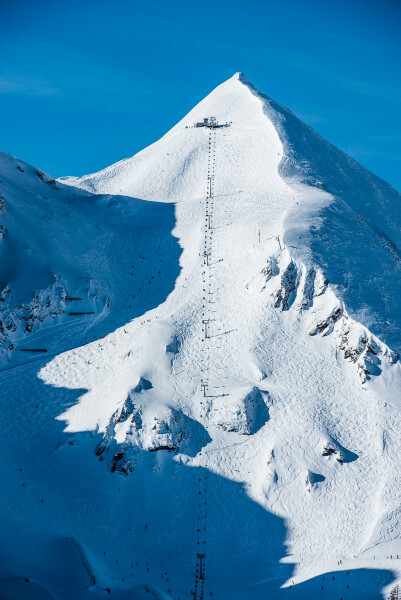 The average difference in altitude between base and summit of Ski Resorts in Austria is 2392 ft.
Obertauern is among the 10 best rated Ski Resorts in Austria. Season starts on Nov 23 and ends on May 1 (159 days). Average season duration in Austria is 114 days. Average snow depth during the season (Nov 23 to May 1) is 66 " at summit elevation and 52 " at base elevation. Snow coverage is usually best during March, offering an average snow depth of 85 " at summit elevation and 69 " at the base. 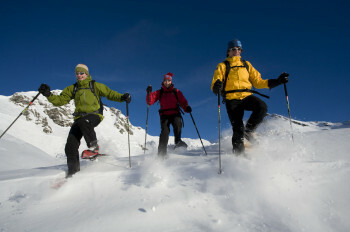 Therefore Obertauern is among the 3 ski Resorts with best snow conditions in Salzburg. 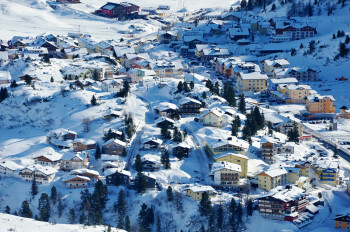 Obertauern features 57 sunny days on average per season. 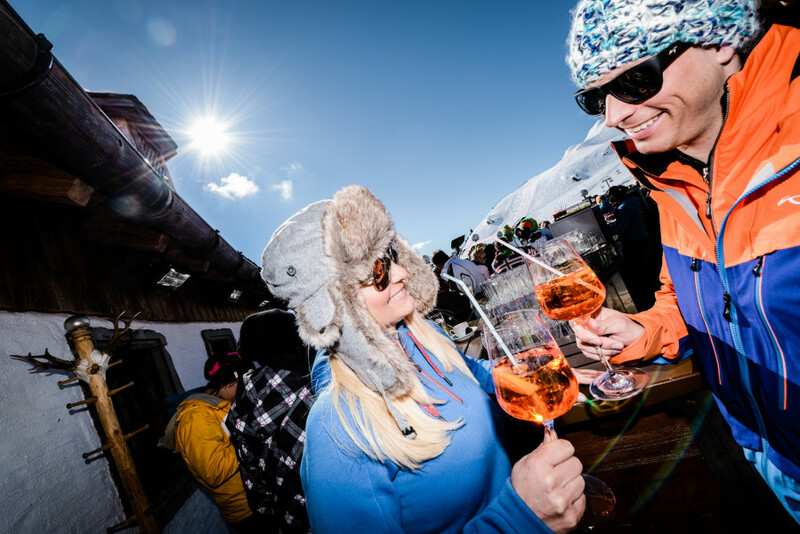 The average for all ski Resorts in Austria is 68 sunny days. April is the sunniest month with an average of 22 sunny days. 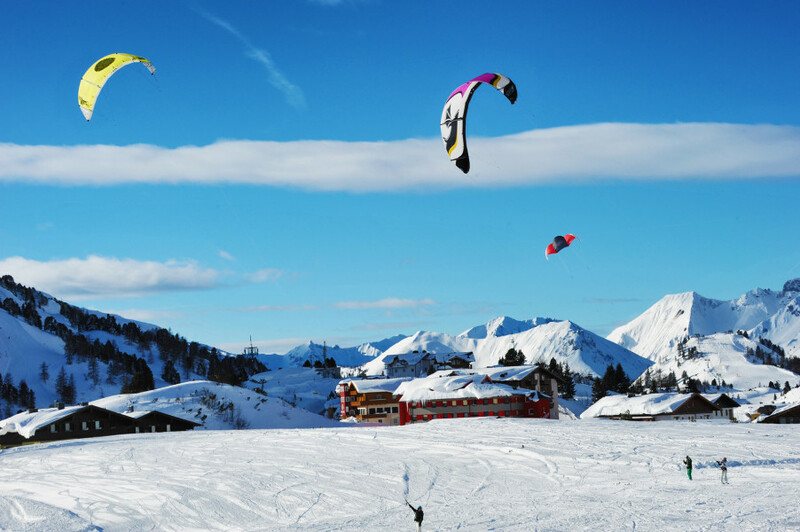 Offering 62 miles of slopes and terrain, Obertauern is among the 5 largest Ski Resorts in Salzburg. Obertauern with being nestled in the Salzburg sports world always has best snow conditions, even in May because it´s one of the most snow sure resorts in the region of the Alps. The 100 kilometer (62 miles) of ski trails range up between 1630 meters (5347 ft) and 2313 meters (7588 ft) above sea level. The best way to explore the ski resort is the ski circuit Tauernrunde. The system of how the 26 trams and lifts are situated totally works out because you can go from lift to lift and you always end up where you started without doing trails twice. Just follow the red boards (clockwise) or the green boards (anticlockwise) and off you go. The area does designate just over half of its runs as blue so beginners can learn fast here. There are dedicated learning areas throughout the whole resort so ski newbies are not restricted to the lower slopes. The area around the chairlift Kehrkopfbahn is especially perfect for beginners and people reentering the world of skiing and boarding. The area around chair Schaidbergbahn has plenty of easy skiing too. Youngsters are comfortable in the BiBo Bär family park. 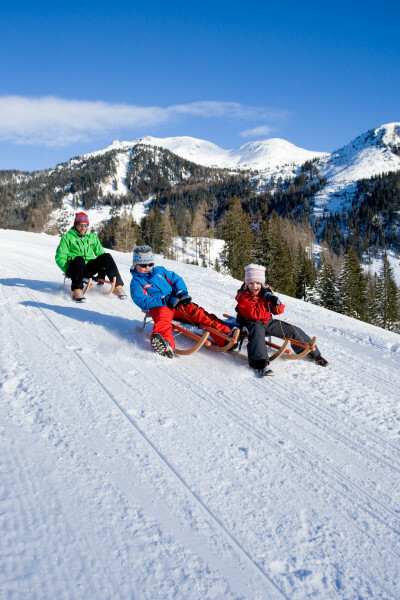 There are three slopes that help the littlle ones to find their ski legs in a playful way. The local animals like bunnies and eagles make it even more fun. The large amount of blue slopes doesn´t mean that intermediate and advanced skier are without their runs. There are tons of trails that are oriented to needs of skiers that love to challenge themselves. For example the ´Super Seven´ (seven highest peaks in the resort) are great for expert winter athletes but beginners definitely want to steer clear of these trails and decide for other areas. 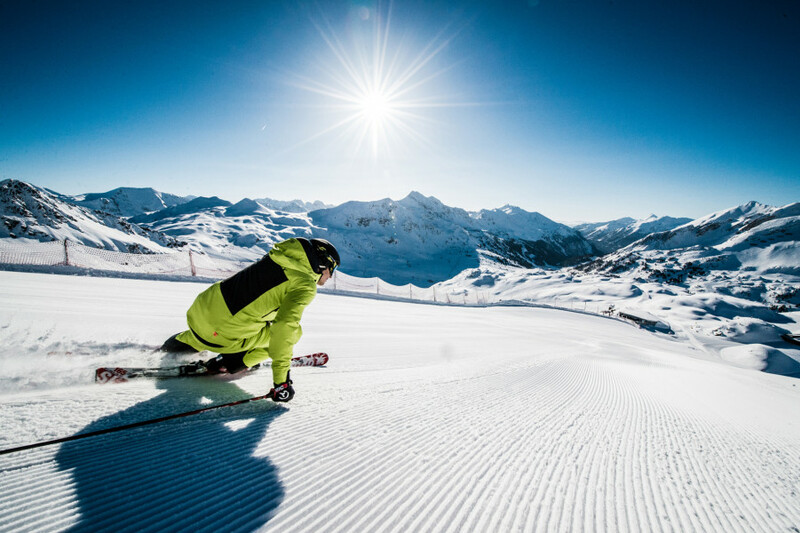 Obertauern has a run that will even please the most courageous skier and snowboarder, the legendary ´Gamsleiten 2´. This is one of the steepest trails in the Alps and some of the bravest skier had to give up in the past. You need courage to hit the steep and icy descend. Due its exposed position, the lift operates only if the weather plays along. You don´t need a car in Obertauern at all. 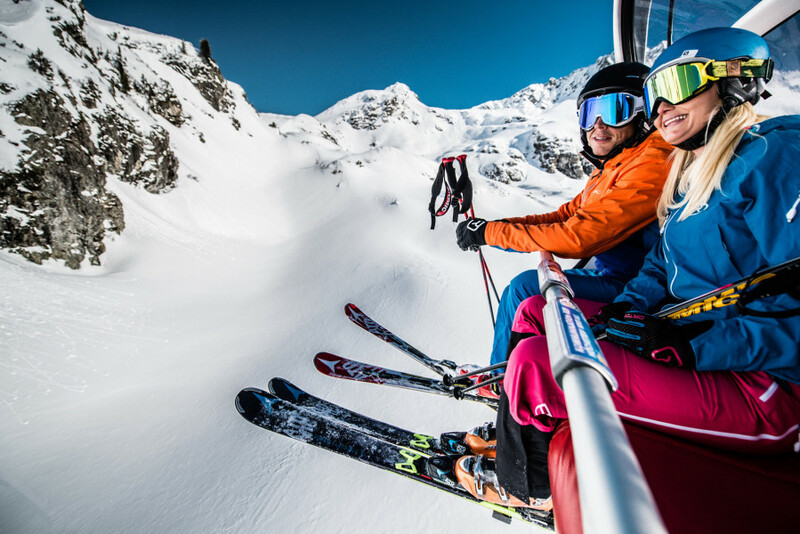 You automatically get a ticket for public transportation by purchasing a lift ticket. This way it´s super easy to get to the lifts from your hotel. 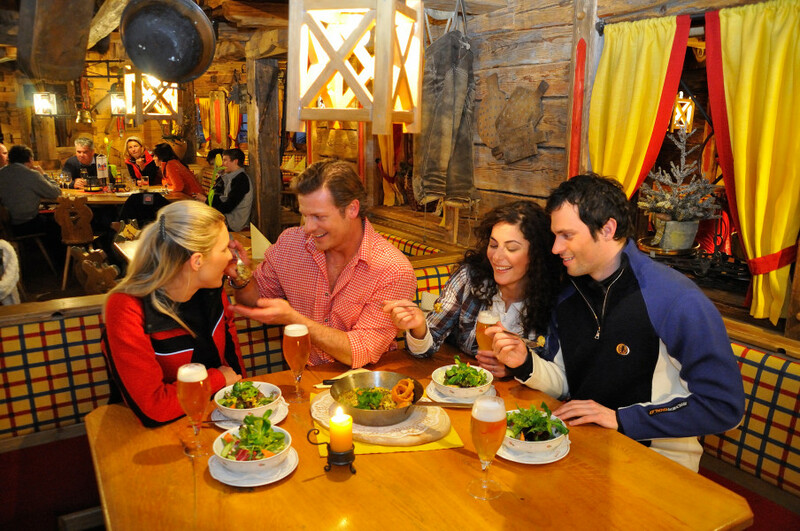 More than 25 mountain huts cater right to your appetite and you´ll find everything on the menu, from fries and Schnitzel to traditional and local food. The warmth of the hosts and the breathtaking panorama come for free. Experience real hut charm at Lürzeralm and Edelweissalm. Almost famous is the slope ´Gamsleiten 2´, real fans just call it ´G2´. This extreme steep trail is for experts only because it´s not just crazy steep but also ungroomed and often real icy. The lift is open if the weather is good. In Obertauern, there are two toboggan runs. The run Gnadenalm comes with a length of 1,5 km (0,9 miles) and is lighted at night time. From the Gnadenalm you can take the toboggan taxi that takes you right to the starting point and off you go back to the Gnadenalm. The second one starts at the mid-mountain hut Südwienerhütte and is incredible 5 km (3,1 miles) long. Untertauen has a wildlife park that invites for idyllic walks through the game enclosure. If you are lucky you get to see one or the other wild animal. The Wildparkstüberl restaurant will leave you tempted for a stop and a hearty lunch. The entry to the park is totally free. Even if Obertauern is not the most central situated ski resort, it has great Apres-ski options. As early as midday the parties in the countless mountain huts and umbrella bars are starting at the trails. The Hochalm at the base of Seekarspitz or the legendary Treff 2000 at the middle station of gondola Grünwaldkopfbahn are good examples. 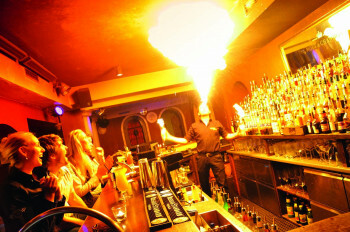 In town there are loads of bars as well to continue what you´ve started on the mountain. The chefs de cuisine in Obertauern don´t cut any corners and serve the finest dishes from their region. With the perfect combination of tradition and modern influences the Wildhaus Freiwild welcomes its guests. Don´t miss the local delicacies at the restaurant Steinbock and in the Weningeralm. Coming from the North take A 8 towards Salzburg and switch to the Tauern freeway A 10. Leave at exit Radstadt. Continue on B 99 with direction Radstadt and follow the signage for Obertauern. Leave the train in Radstadt. From there just hop in the bus or take a cab into the ski resort. The closest airports are Salzburg and Klangenfurt. From there you can choose between many shuttles operated by different companies. Excellent, we were in Obertauren in January 2007 had a great time. We are going back again next weekend. The Hotel Enzian is brill we are staying there again. A must do is the night ski good fun. I think it's the best there is!!!!! No waiting at the lifts, a lot of snow till the end of April!!!! And a GREAT apres-ski!!!! !